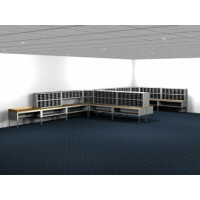 If you're standing all day, you'll appreciate the comfort of these cushioned mats. 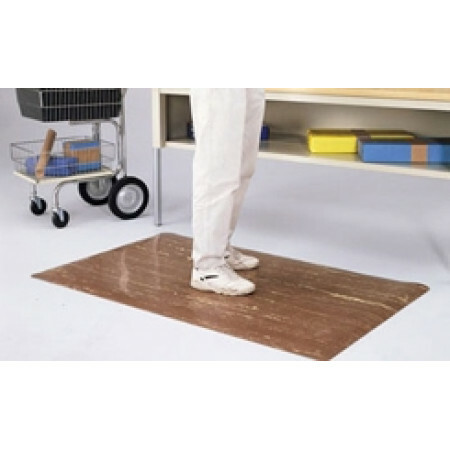 They're designed to relieve strain on legs and back. 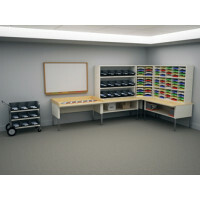 Laminated marbleized surface is long-wearing and features beveled edges to lay flat. 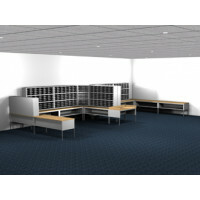 Easy to sweep clean. 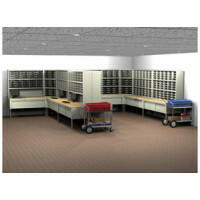 Perfect for mail centers, mail rooms, labs, check-out counters, order fulfillment lines and warehouse use. 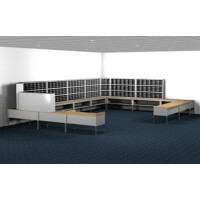 • Smooth marble-pattern top surface. 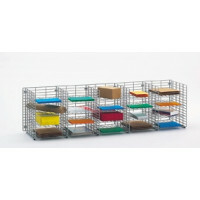 • Heavy duty rubber with dense closed cell foam base. • Sloped beveled foam on all 4 undersides affords easy access onto and off of mat. 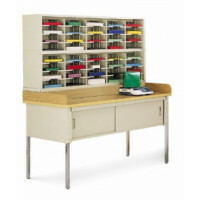 Mail Room Console or Office Organizer 580 Pocket Letter Depth Mailing System with Sorters and Tables Complete! 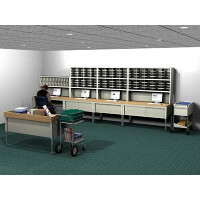 Charnstrom's Mail Room Console and Office Organizer 580 Pocket Legal Depth Mailing System with Sorters and Tables Complete! 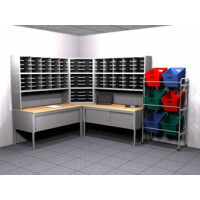 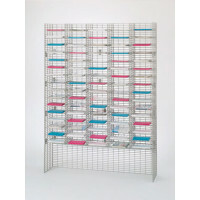 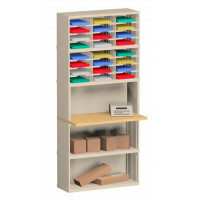 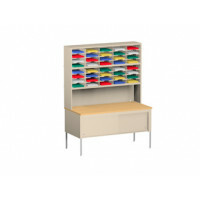 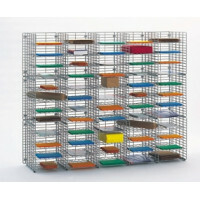 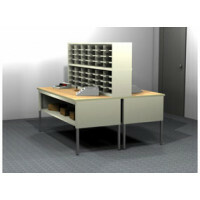 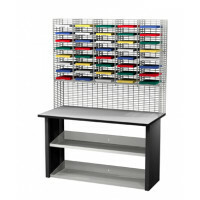 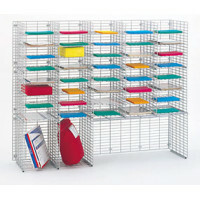 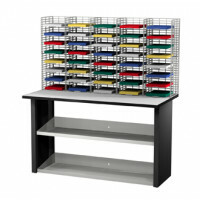 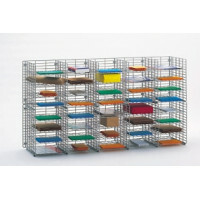 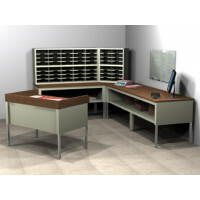 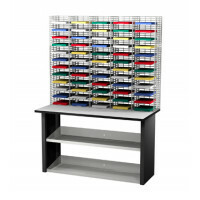 Mail Room Furniture and Office Organizer 504 Pocket Letter Depth Mailing System with Sorters and Tables Complete! 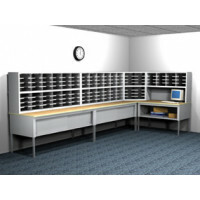 Mail Room Sorter and Office Organizer 504 Pocket Letter Depth Mailing System with Sorters and Tables Complete!